Aksys Games has released Zero Time Dilemma on PlayStation 4 in North America. This release follows the Japanese PS4 release on August 17, and the initial release on PS Vita, Nintendo 3DS and Steam on June 28, 2016. 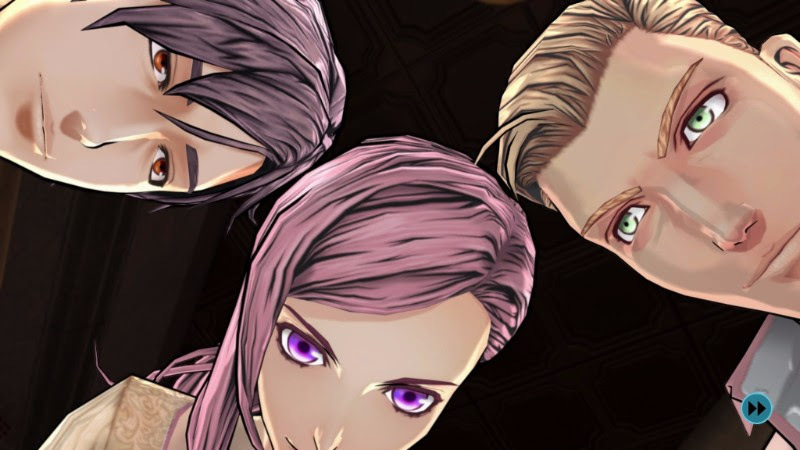 Zero Time Dilemma is the third game in the Zero Escape series, with the other two being Nine Hours, Nine Persons, Nine Doors and Virtue’s Last Reward. The previous two games have also been re-released together with The Nonary Games on PS4, PS Vita and Steam. Aksys Games and Spike Chunsoft proudly announce that Zero Escape: Zero Time Dilemma releases physically & digitally today in North America for the PS4™ system! Now accompanying its predecessors, Nine Hours, Nine Persons, Nine Doors, and Virtue’s Last Reward, series mastermind Kotaro Uchikoshi’s masterful trilogy of compelling story-lines and mind shredding gaming experience are now together in their full HD glory on the PS4™ system! Zero Escape: Zero Time Dilemma has been rated “M” for Mature by the Entertainment Software Ratings Board (ESRB). For more information, visit www.esrb.org.